Trailer Arrives For THE WALKING DEAD Season 9! 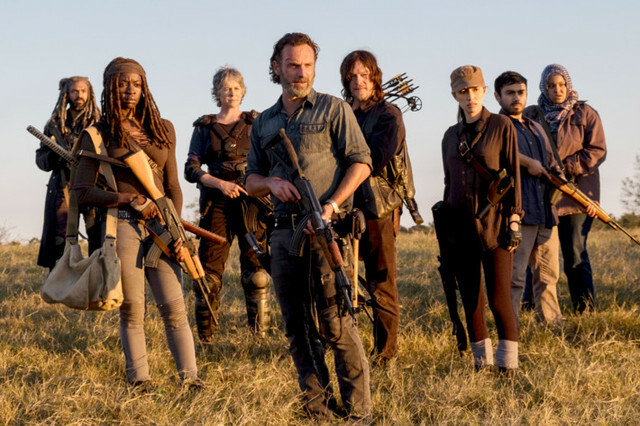 Before the full trailer for THE WALKING DEAD Season 9 arrives on Friday, AMC has unveiled a new teaser video that offer a quick look at what's to come for the series. Head on down below to have a look. The panel for THE WALKING DEAD will take place at 12:15pm - 1:15pm. THE WALKING DEAD panelists include cast members Andrew Lincoln, Norman Reedus, Lauren Cohan, Danai Gurira, Melissa McBride and Jeffrey Dean Morgan, along with Executive Producer and Showrunner Angela Kang, Executive Producers Scott M. Gimple, Robert Kirkman, Gale Anne Hurd, David Alpert and Executive Producer, Director and Special Effects Make-up Supervisor Greg Nicotero. The panel will be moderated by Yvette Nicole Brown.